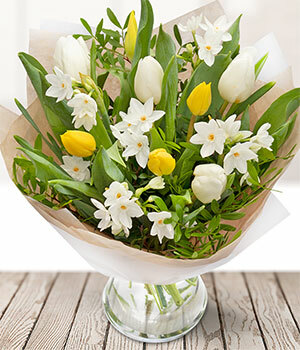 A charming bouquet of yellow and cream tulips with utterly delightful paperwhites topped with pistache. This bouquet certainly lives up to its name. During the delivery, the flowers will remain in bud which prolongs the life of the bouquet.